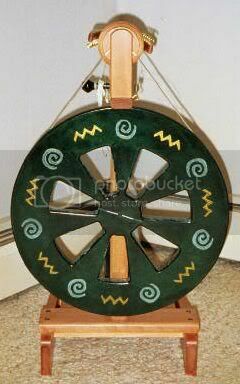 It's been about six year since I did any spinning. I took a deep breath and sat down at the wheel. And, predictably, my first attempts were not pretty. I was beginning to despair of ever creating usable yarn when, for just a moment, everything clicked. 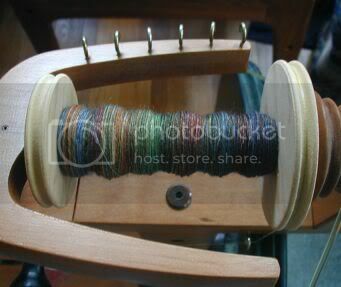 It's overspun and much too thin in places (meaning it will snap when I try to ply it). My drafting technique (if you can call it that) would make more experienced spinners laugh uproariously. But hey! It's yarn!